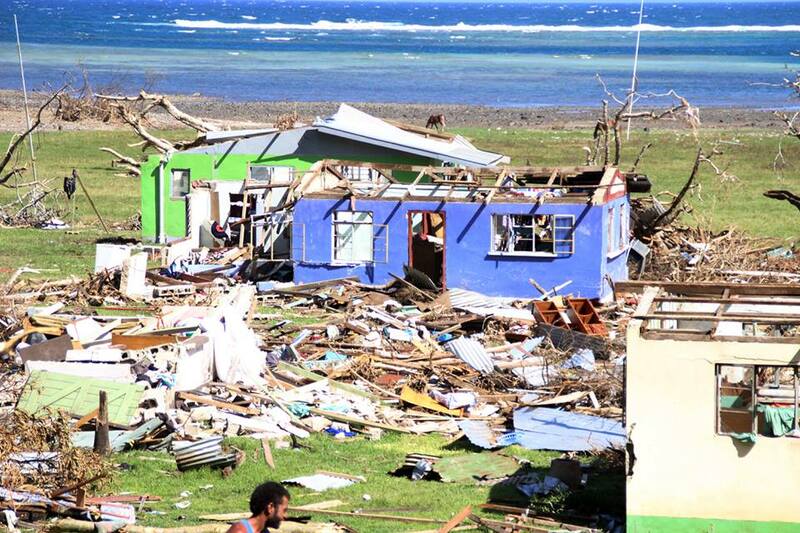 Cyclone Winston hit Fiji on 20 February. This effects of this category 5 storm, the strongest ever recorded in the Southern Hemisphere, has been devastating. It is estimated that 45% of the population has been displaced with homes, schools, basic infrastructure having been damaged or destroyed. It is envisaged that the agricultural sector will take a year to recover with the storm having stripped the leaves off all the trees in many islands. 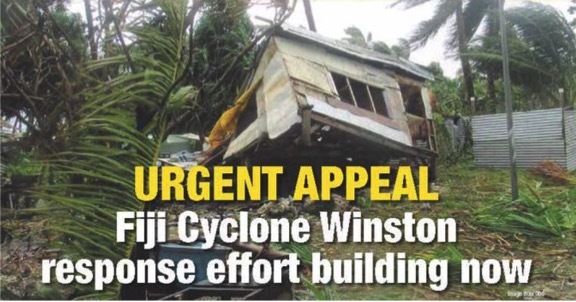 The worst of the storm has passed and Fiji has started to assess and clean up the damage inflicted by the storm. Disaster Aid UK & Ireland together with its international Rotary club partners, Disaster Aid Australia, Disaster Aid USA,, Disaster Aid Disaster Aid Malaysia and Disaster Aid New Zealand are working to provide desperately needed aid to Fijians after the cyclone’s massive devastation. That includes liasing with our Rotary contacts and agencies in Fiji. Aid groups and government authorities are now racing to deal with the critical need for clean water, health supplies and emergency accommodation. Our Disaster Aid Response Team is already in place in Fiji and include Peter and Steven (UK) under the Team leadership of Howard (Australia). The current challenge being faced in the shortage of wood to repair houses. Please donate if you can help Disaster Aid UK & Ireland and its international partners in their respond with Family Survival Packs, Home Repair Kits, SkyHydrant water purification systems and “Sawyer” water filters.